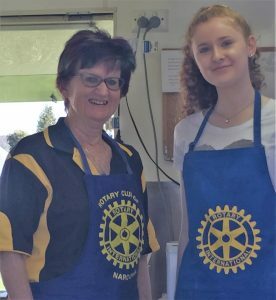 March 2017 – Narooma Rotary Club Inc.
Last week was a bit of a horror one. Between rain storms I helped with some mowing and drove school buses to help out and to cover for people having to attend funerals. Yesterday (Saturday) I started the week photographing a wedding in bright sunshine and this morning our markets were blessed with blue skies, let’s hope it is a sign for a bright week ahead. Thank you to John and Sandra for getting the van in on Saturday and Michael and Frank for marking out in the long grass. To David and Rachel thank you for filling in on the gate at the market. John and Sandra, Joan, Angie, John Rungen, Frank, Mal, David (again), Lynn, Michael, Shania (a Narooma High Yr 12 Student) and myself all pitched in to help at the van, making light work of a big task – thank you everyone. Michael took around the bucket and raised another $150.00 for his walk. A good day was made great when the Formula One grand prix in Melbourne was ready to commence and Liz Cherry, back by the Army Band, sang the National Anthem. Liz is Charmaine’s daughter and as usual she nailed the performance. This week I hope to get the defibrillators out and happening. Our application for the Oyster Festival is in, add the Friday night and Saturday to your calendars, more on this when Chris gets back. Have a great week, see you on Thursday night. There were 14 members and 4 guests at last week’s meeting. Guests included Jess Callaghan & Brittany Harrington from the university of Canberra, Angela McMillan from the Eurobodalla Shire Council and Iris. The meeting was chaired by John Doyle. Present Bob inducted Mal Gray into the club after he transferred from Tumut, where he was a member for 21 years. Present Bob reported that the Goulburn Rotary club had refunded our cheque for $200 as their Nepal building project was abandoned. The club agreed to donate these funds to the Asher foundation, another Nepal project. Sandra Doyle that reported that she attended the busking competition held at Ballarat last week and was able to promote our busking competition to be held in May. Her granddaughter Shelby was a winner on the weekend as was Sandra, who won the raffle. Raffle results: bread (32) – Angie; food back (1) – guest Jess; white wine (4) – Sandra; red wine (15) – Michael O’Connor. Jess and Brittany are final year students at Canberra University completing a Masters degree in Occupational Therapy. There final placement is in this project sponsored by the PC YC and the Eurobodalla Shire (Y Drive Program). The Y Drive program has been developed to assist disadvantaged youth in the Eurobodalla area to acquire the 120 hours of driving experience they require to get their provisional license. Disadvantaged or disengaged youth (not working or studying) obviously find it hard to obtain a driver’s license. This causes social and economic disadvantage and, through the help of driver mentor volunteers, this pilot project hopes to provide these opportunities to 20 youths to be chosen from applicants. Jess pointed out that while 70% of young people in New South Wales have driver’s licences, less than 50% of Indigenous youths have a licence. To create a forum that shares ideas on how to introduce Sustainable Principles into our own lives, our businesses, our communities and our Rotary Club projects. To encourage the 1.2 million Rotarians to understand the implications of using non-renewable resources on the lives of future generations and on the climate of our planet. To provide suggestions on principles and products that Rotary Clubs can promote to reduce the use of non-renewable resources by their Club members, their communities and in their humanitarian projects. To point Rotarians to humanitarian projects that are already being supported by Rotary Clubs, which meet the aims of the Trust by using sustainable systems, renewable energy and locally supported programmes. To provide ideas and inspiration to Rotary Club members that will enable them to reduce their use of products that are made from non-renewable resources. To provide a carbon calculator that enables Rotarians to calculate their carbon emissions and donate to a Rotary Club project that removes the carbon emissions their activity has created. To link together all 33,784 Rotary Clubs world-wide into an internet-based support website that promotes these ideas and principles. To offer help and guidance to Rotarians, using the Trust’s world-wide network of internet-based contacts, on how their Clubs can achieve these aims. The Trust slogan is – What is the 5th Test in the Four-Way-Test? Is it Sustainable? Once again a very successful market was held on Sunday. Bob Antill reports that the Wishing Well collected $85.55, the van made $535.50 and $785.00 was collected at the gate. Eurobodalla Shire Council have asked the Club to submit and EOI for a licence to conduct the market for the next 5 years. Thanks to Laurelle, Chris and Rod who have put the EOI together and submitted it to Council. In St. Joseph, Michigan, USA, Rotary members have been matching high school students with mentors in their dream careers, providing valuable guidance as they explore their options after graduation. The exposure to community service has led students to start Interact clubs at six local schools, and has cemented the club’s connections with its community. Meet some of the students helped by the program and the members behind it all. Click here to read the article. This week I understand that we are to get an update on the ‘Angel Flight Program’. Angel Flight Australia is a charity which coordinates non-emergency flights to assist country people to access specialist medical treatment that would otherwise be unavailable to them because of vast distance and high travel costs. Click here to see some videos about Angel Flight. The annual RYDA (Rotary Youth Driver Awareness) will be held for Narooma High students next Tuesday 4 April 2017. Youth Coordinators Lynda and Sandra desperately need a volunteer to help out on the day, so if you can help out please make contact. RYDA is now conducted by an organisation called Road Safety Education. If you want to know more about the organisation click here. If you want to know more about Rotary’s involvement click here. Welcome rain this week resulted in a quick change of venue for our BBQ meeting – back to the Golf Club (which they handled magnificently at such short notice). Many thanks to Merinda who at the last minute came along to talk about the National Music Teacher Mentoring program and sang a few songs, which made the night. Although small in numbers, I think everyone enjoyed themselves. The Cancer Council Relay For Life was well supported despite the rain. Fortunately, the rain held off on Sunday morning long enough for us to feed the hordes over breakfast. We grossed $370 plus. That was after we gave a $50 donation and covered our expenses. On Saturday, the Lions handled lunch and Sunday morning (early) John Doyle, Bob Aston, Angie, Lynn, Peter Hartley, Mike Young and myself kept the bacon and eggs going for the masses while Rolfe was swamped making coffee. A job well done and top marks to the organisers of this wonderful event. I’m sure they are going to make good money for a very worthy cause. Lynda and Ashley had to dash north on Thursday and made it just in time to say “goodbye” to Ash’s mother. Our thoughts as they are with Michael and Donna. It is not an easy time. John Doyle has a few holes in the roster for next week’s markets, if you have a little time to spare please let him know. Last Thursday we changed venue at very short notice due to the rain. Only 9 members and 3 guests made it to the meeting with the weather, golf trips, holidays, family emergencies and illness and injury contributing to the high absentee rate. As Bob has indicated Merinda came to the rescue at the last movement to keep us entertained as our guest speaker and performer – thank you Merinda for a great evening. As well as Merinda, we were honoured to have Iris and Julie Hartley as guests. 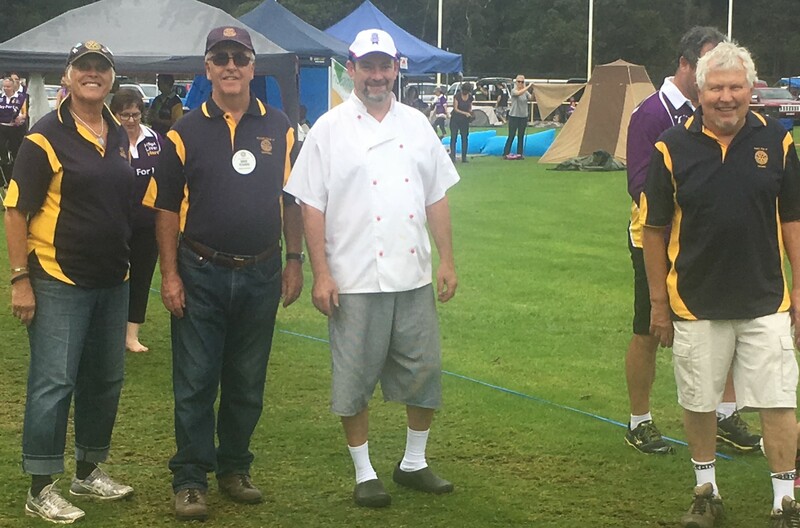 Last Sunday morning the club provided breakfast at the Eurobodalla Relay for Life, as Bob has indicated we were kept busy feeding participants and spectators with high quality bacon and eggs. Sandra and the team continue to do a great job organising the Australian National Busking Regional Championship at Narooma. Please keep 27 May free as the committee will need all hands-on deck to help. (And don’t forget the markets on 28 May). Have a look at the great clip advertising the Championship. This week our guest speaker will discuss the Learner Driver Mentor Program – unfortunately I have no information to share with you about the program so Thursday night should be a surprise. And don’t forget our monthly market this Sunday. Because in earlier times it used to be common for someone to try to kill an enemy by offering him a poisoned drink. To prove to a guest that a drink was safe, it became customary for a guest to pour a small amount of his drink into the glass of the host. Both men would drink it simultaneously. When a guest trusted his host, he would only touch or clink the host’s glass with his own. Because types of clouds are numbered according to the altitudes they attain, with nine being the highest cloud. If someone is said to be on cloud nine, that person is floating well above worldly cares. Because when Mary Queen of Scots went to France as a young girl, Louis, King of France, learned that she loved the Scots game ‘golf.’ He had the first course outside of Scotland built for her enjoyment. To make sure she was properly chaperoned (and guarded) while she played, Louis hired cadets from a military school to accompany her. Because long ago, dishes and cookware in Europe were made of dense orange clay called ‘pygg’. When people saved coins in jars made of this clay, the jars became known as ‘pygg banks.’ When an English potter misunderstood the word, he made a container that resembled a pig. And it caught on. How many Rotarians does it take to clean a BBQ? Last Thursday morning Laurelle, Frank, John and Sandra Doyle, Lynn, Ange, Bob Aston and Bob Antill meet at Easts Van Park to ‘spring clean’ the Rotary Food Van. All the gear was moved out before the shelves, walls and equipment were thoroughly scrubbed, washed and cleaned. The result a ‘sparkling’ van fit for purpose. Thanks to all who helped. On Thursday night 15 members were present. We welcomed visiting Rotarian Jenni Lean from the Rotary Club of Port Moresby, guests Tara Moore and Rob Merrian and guest speaker Teresa van der Heul and husband John. In her three-minute talk Lynda spoke about her journey back from major surgery and the influence it had on her and her family. Lynda was pleased to report that her recovery is almost complete, even venturing out to drive! Teresa, our guest speaker gave an engrossing presentation on the world of fungi. Fungi play a vital role in our ecosystem decomposing organic and inorganic matter as well as supplying plans with essential nutrients. This week we meet at Rotary Park (6:00 for 6:30pm) to discuss ways we might further recognise the work of Rotary and Rotarians in some way at the Park. Please bring your own food and refreshments, hopefully the rain will stay away. 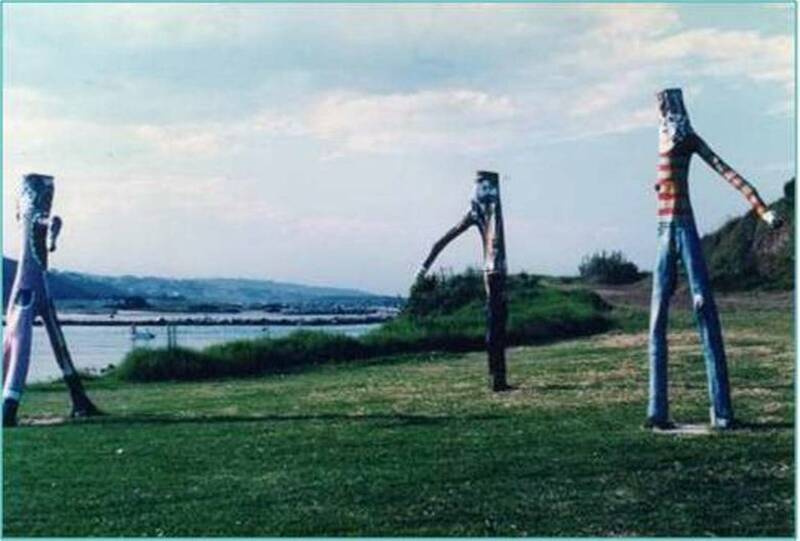 The People in the Park project in 1979 was done in conjunction with local artist Jenni Young. I asked Laurelle to provide us with a little history of the Park for information of members. Her story appears below. Rotarians then maintained the park until circa 2001, included mowing and cleaning the barbecues. Council then took over all of its maintenance largely because of liability concerns. 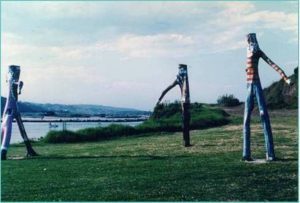 ‘People in the Park’ in 1979 in Ted Oliver’s year as president when the Club worked with local artist Jenni Young (later Bourke). Rotarians cut trees Jenni had selected from the forest, carted them to her studio where she painted them as very tall people, and then installed them in the park. 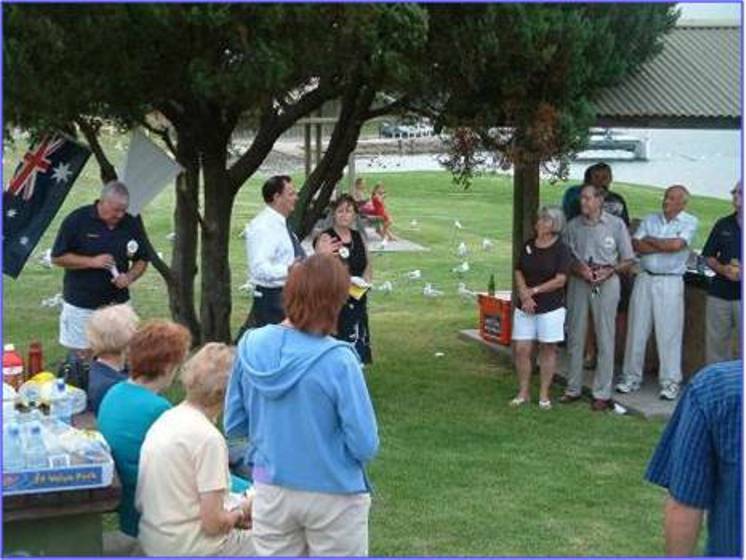 Eurobodalla Shire Mayor Fergus Thomson opens our RI Centenary Project in Rotary Mark in March 2005 during Georgie Staley’s year as president. We put a sun-shade over them during the following year (Marilyn Gibson’s year as president), largely due to the efforts of Kevin Young, again going 50:50 with Council. We no longer have any direct responsibility for Rotary Park but continue to provide comment and input to Council over the park’s ongoing management. This Saturday and Sunday. The Club is providing breakfast on Sunday morning. Three Rotary members answered that question at a celebration of International Women’s Day hosted by the World Bank at its Washington, D.C., headquarters 8 March. Click here to read the story. I would first of all like to extend my appreciation to the Rotary Club of Narooma for their tertiary scholarship support from 2012-2014. I will always be grateful. I thought an update might be on the cards. I finished my Bachelor of Exercise Physiology and Rehabilitation at the end of 2015, continuing on to complete a Bachelor of Sports Studies (Honours) of which I will graduate from on the 13th of April. Currently I am undertaking my Doctorate of Philosophy at the University of Canberra, my thesis focusing upon the cardio-toxicity of chemotherapy and the role exercise may play in reducing these negative effects. I am learning how to conduct echo-cardiographs, guest lecturing and taking tutorials at the University. I also work in a private practice as an exercise physiologist, as well as being the exercise physiologist based in Canberra for a nation-wide randomised control trial looking into the effects of exercise during chemotherapy within ovarian cancer. Results of The Rotary International Strategic Planning Committee’ survey. When asked about the traits of their ideal organization, almost all Rotarians (95%) and Rotaractors (97%) prize transparency and accountability. According to Rotarians, the two top benefits of membership are 1) positively impacting their local community and 2) friendship/fellowship. Almost a quarter of Rotarians say that their Rotary club conducts too few community service projects; even more (41%) feel their Rotary club is involved in too few international service projects each year. Many Rotarians (42%) and Rotary alumni (49%) are frustrated with Rotary’s slow pace of change. Only 36% of Rotarians fully agree that Rotary acts upon feedback from its members. We hear you and want to reassure you that we are taking action with the survey feedback. Your Vision for Rotary’s Future survey results are an integral part in the development of a Vision statement for Rotary. Our goal is a Vision statement that is compelling, inspirational, and aspirational — a future towards which all Rotary aspires to reach and reflects the impact Rotary wishes to have on the world. Once developed, the Vision will guide the creation of a new strategic plan and set a direction to ensure Rotary’s ongoing growth and long-term success. Rotarian input is essential at every step of the project. To ensure the Vision fully captures the shared values and priorities of Rotary, the Strategic Planning Committee will continue talking to Rotarians and members of the Rotary family at all levels and all parts of the globe. In the next several weeks, you may be asked to provide input to help develop the Vision. We hope you will participate if you receive a request. Below is a letter from PDG Len Goodman AO Special Ambassador, “Snowy Hydro SouthCare Helicopter Trust”. At the 1995-96 District Assembly, Rotarians of D9710 unanimously supported my request that we get behind the ACT Government’s proposal to have based in Canberra an Aeromedical Helicopter service to cover the ACT and SE NSW region. All Clubs then started contributing funds which resulted in D9710 kicking off the then “SouthCare Helicopter Trust” with donations of nearly $70,000. Since the “SouthCare” helicopter – ‘SnowyScheme’, then ‘Snowy Hydro SouthCare’ – began operating on 1 October 1998, Rotary has contributed almost $500,000 in cash and kind – a faithful and amazing partnership. As a Sponsor, our RI Logo has accompanied almost 7,000 indispensable aero-medical and life-saving missions operated 24 hours a day, 7 days a week all year round. It has been there for you and your families from the snow to the sea, farmland and bush, in our capital and on some of the busiest highways and holiday roads. From Rotary’s commitment, I was appointed Chairman of the Trust, serving from 1998 to 2006 – and then as “Special Ambassador”. Sponsorships and community fundraising have been at the heart of establishing and supporting the Snowy Hydro SouthCare helicopter service. Thanks to the commitment, passion and dedication of our donors, Snowy Hydro Limited and other sponsors, our Ambassadors, community supporters and volunteers, the service that started in 1998 with a dream and a vision is recognised and valued as an essential community service. As SHSC CEO Carol Bennett puts it in commending Rotary – now, from April 2017 the service will enter a new era. Our beloved “Snowy Hydro SouthCare” Bell 412 helicopter, affectionately known as ‘Charlie’, will retire. The ACT and NSW governments have contracted Toll Helicopters to serve our community with a new state-of-the-art aero-medical helicopter. Now the Agusta-Westland 139 will operate out of Canberra as part of a fleet of eight servicing southern NSW and the ACT. It heralds a new era in life-saving and life-changing capability. Its core operations will be fully funded by government as an essential community service, without reliance on community fundraising as has been the case. It is an exciting time. So many charities never get to fulfil their mission, but with support from Rotary, our Lions cousins, the many sponsors and individual donors – “SouthCare” has been an outstanding success in saving lives. Community support for life-saving equipment and initiatives will always be a hallmark of our region’s communities. Thus, the ACT Government is tasked with exploring a new model of community engagement to support regional emergency services, incl. aeromedical. I thank you, my fellow Rotarians and partners, most sincerely for all you have contributed over the past 22 years in the name of “Service above Self”. A journey of commitment. The District Assembly this year will be a little different to other years. We would like to encourage all Rotarians to attend, not just incoming Board members. There will be a showcase of many of the Rotary programs on display over the weekend, with the opportunity to discuss one on one with committee members. Breakout sessions will still be held with an opportunity to learn and ask questions. 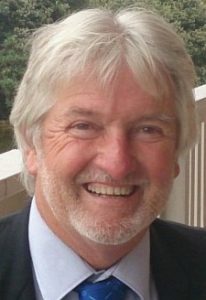 Special Guest at the Assembly will be Rotary International President Elect Ian Riseley. Click here to register. Please also let Bob Aston know if you will be attending. Welcome to my first short words with my new hat as acting president. Gum boots have been the chosen foot wear for the last couple of days with all the rain that has been about, our water tank has been drinking it all up with more than 125mL recorded in the rain gauge. Last week’s Club Assembly and Board Meeting was very productive. We had lots of positive discussion and the board endorsed a few things. I will stand in as president with vice president Laurelle until Bob Aston takes over in July. If you need to get in touch it is best to text me first, as our internet is not the most reliable. Defibrillators allocated to our Club are here with two allocated so far. We are still considering locations for the other two. The VRA has sent a request for some equipment and it looks like other clubs will join in and we will fill the void which will make it a community project. Clean up Australia day on Sunday saw Angie, Sandra, John D, Bob Aston and myself joined by councillor Phil Constable to attack Mill Bay area. It didn’t take too long and this important tourist destination now looks a bit more loved. Thank you to the helpers. In my role as assistant governor I will be attending this week’s meeting of the Batemans Bay Rotary Club. Have a great week and beaming comforting thoughts to Michael and Donna at this time. Last week’s meeting was a Club Assembly followed by a Board Meeting. Fred and Pam Falk, visiting Rotarians from Canberra dropped in for a meal and to say hello. Fred updated us on his donations in kind work fort Rotary. Rod Walker entertained us with a three-minute talk about the history of Dangar Island on the Hawksbury River. Ange, Bob Aston, Sandra, Bob Antill, Cr Phil Constable and John Doyle survey some of the rubbish collected on Sunday. 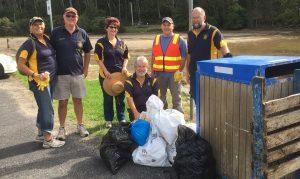 Thanks to Ange for organising the Club’s participation in last Sunday’s Clean Up Australia Campaign. 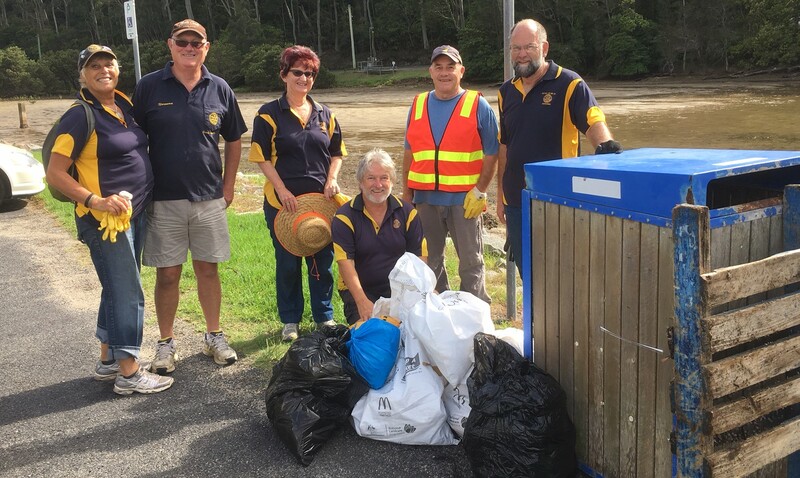 Ange, Sandra and John Doyle, Bob Antill and Bob Aston along with recently elected Eurobodalla Shire Counsellor braved the overcast conditions to clean up the area around Mill Bay, the Board Walk and Apex Park. This year the Eurobodalla for Life Relay will be held at Bill Smyth Oval from 10:00am Saturday 18 March to 10:00am Sunday 19 March. The Club has agreed to cater for breakfast on Sunday morning. Please volunteer to help out if you can. To help out Bob and Laurelle it has been recommended that the Club incorporate a meeting chair duty as a part of the Club’s weekly roster. As the name suggests the role of the chair will be to led and manage the Club’s dinner meeting. The chair will be provided with a running sheet to help manage the meeting. Please let the editor know as soon as possible if you do not wish to chair a meeting. 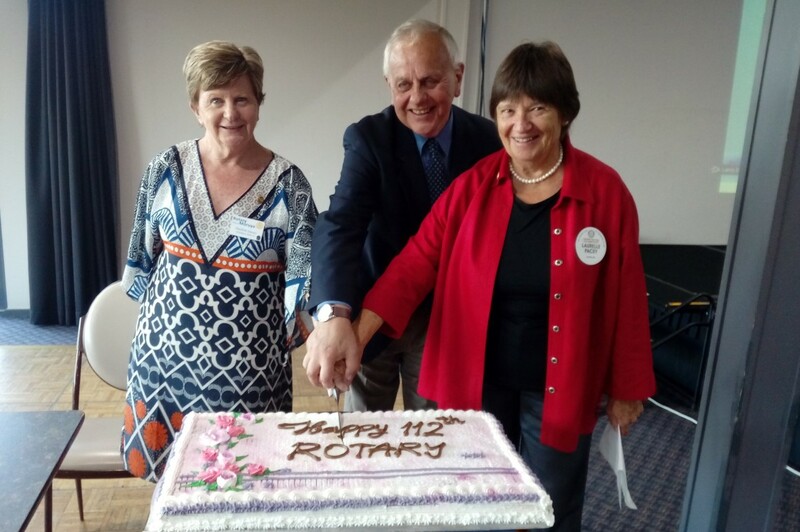 How did your club celebrate Rotary’s anniversary? Rotary clubs around the world marked Rotary’s 112th anniversary by holding fundraisers, illuminating famous buildings, and hosting events of all sorts. 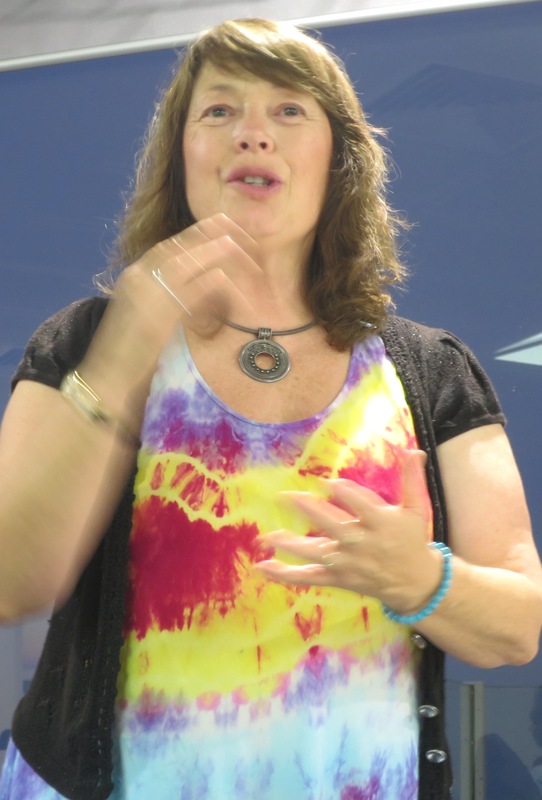 This week’s guest speaker is Teresa van der Heul, she will talk to us about Fabulous Fungi! There was no meeting last Thursday instead there was a combined meeting of the Narooma, Moruya and Batemans Bay Clubs at Moruya Golf Club last Wednesday to celebrate Rotary’s birthday and to recognise all those involved in last year’s Rotary Christmas Race Day. As members know funds raised when towards the purchase of defibrillators that will be located at key locations across the shire. In all over $25 000 was raised from various sources, allowing for the purchase of 12 defibrillators from St John Ambulance. Thank you to Laurelle Pacey who wrote a press release on behalf of the Clubs outlining our achievements in financing the defibrillators, it is reproduced below for members’ information. Proceeds from Rotary Christmas Races at Moruya last December have purchased 12 Automated External Defibrillators (AEDs) which will be installed across Eurobodalla Shire. 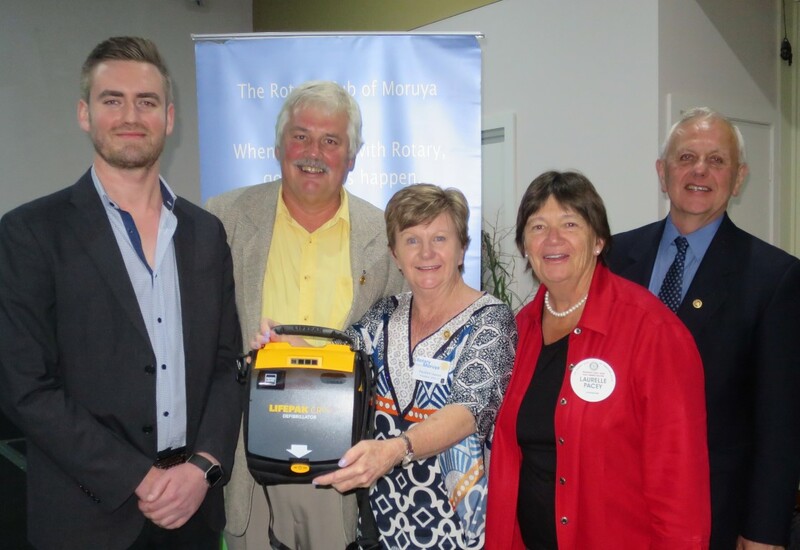 The AEDs were presented to the shire’s three Rotary Clubs on Wednesday night at their celebration of Rotary International’s 112th birthday, hosted by Moruya Rotary Club. 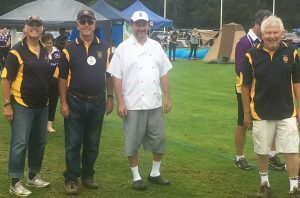 The Christmas Races were organised by Narooma, Batemans Bay and Moruya Rotary Clubs in conjunction with Moruya Jockey Club, the aim being to raise funds to purchase these life saving devices. St John’s Business development Manager Ryan Paterson and Rotary Races Committee Chair David Ashford present 12 defibrillators to Moruya Rotary President Pauline Gleeson, Narooma Rotary Acting President Laurelle Pacey and Batemans Bay President Jeff Thorpe. ‘We raised about $25,000 which greatly exceeded our expectations,’ Rotary spokesman David Ashford said. ‘That was thanks to the Rotary raffle, a significant contribution from the Jockey Club, the hardworking Moruya Rotarians in the canteen, donations from Moruya Surf Club buckets, plus a matching grant from Rotary District 9710. The three Rotary clubs will determine all current defibrillator locations and ensure these latest AEDs are installed in the most appropriate locations in the three towns. An app listing their locations is being developed. The AEDs, purchased from St John’s Ambulance, are used when someone suffers a suspected heart attack. St John’s Business Development Manager Ryan Paterson demonstrated how they work, stating the first four minutes are vital after someone has a heart attack. ‘A shock from a defibrillator can save a life,’ he said. ‘They’re easy to use and maintain, require no training and the machine talks the operator through it. Mr Paterson was so impressed with Rotary’s initiative in the Eurobodalla, he wants to try and get Rotary Clubs in other areas interested in a similar project. The Club as volunteered to assist with Clean Up Australia on Sunday 5 March. Please let Ange know on Thursday if you can help out. This year the Eurobodalla for Life Relay will be held at Bill Smyth Oval from 10:00am Saturday 18 March to 10:00am Sunday 19 March. The Club has agreed to cater for breakfast on Sunday morning. Please volunteer to help out if you can. There will be more information at Thursday’s meeting. If you want to find out more about the relay, click here. The Assembly will commence with a BBQ lunch at 12noon, sessions will commence at 1pm sharp. There will be a dinner Saturday evening at the Raiders Football Club. Cost of dinner is yet to be confirmed. The assembly will finish at lunchtime Sunday with a BBQ lunch. Members and incoming Board members are encouraged to attend. Michael’s resignation as president and the way ahead. Laurelle to report. Update on Michael’s walk; film night and amount Club is contributing to Michael’s fundraising. Bob Antill will report. Relay for Life Sunday 19 March – we are supplying breakfast. Angie will discuss progress and what we need to organise. Defibrillators: We now have four defibrillators to install. One will go to True Value Hardware on Glasshouse Rocks Road, one to the Visitors Centre. So we are looking for two other locations. Bob Antill will report and discuss. One of four District Foundation seminars will be held in Narooma on Saturday 13 May 10.30-3.30pm. Laurelle to report. Clean Up Australia Day this Sunday. Angie is coordinating. Angie to report.